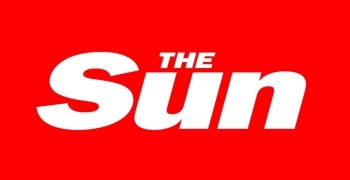 Sun Declares 3DS is "Game For a Barf"
To back up its report on the multitudes of gamers who are being made ill by the new Nintendo 3DS, U.K. tabloid The Sun performed some medical tests of its own and determined that the console is "game for a barf." The Sun reported yesterday that "furious gamers" were seeking refunds on the new 3DS handheld because it was making them sick with dizziness and headaches. Nintendo and major U.K. retailers all denied the report, claiming that sales are quite brisk and that the number of complaints is actually lower than past Nintendo launches. But The Sun is sticking to its guns, to the point that it conducted its own in-house medical tests on a real, live gamer. "Sun doctor" Carol Cooper monitored 22-year-old Lee Price as he played Street Fighter and Pro Evolution Soccer in 30-minute stretches, with ten minute breaks in between. After the first half-hour, Price reported a "slight headache but nothing extraordinary," and the good doctor said he seemed fine. After an hour of play, however, Price's blood pressure was slightly elevated and he was exhibiting slight nystagmus, a type of involuntary eye movement Cooper said is "caused by your eyes taking something in your body can't feel." At 1.5 hours Price's blood pressure was high enough that Cooper said she'd recommend he see his doctor about it if it was his resting rate. By the time the two hour mark hit, Lee's blood pressure and pulse were up considerably over his resting state, leading Cooper to warn, "If this rate is sustained for a long period it could damage circulation. I think the break period needs to be significantly increased." To be fair to The Sun, it's probably not unreasonable to suggest that two hours of banging away on the 3DS will have a physiological impact on most people, especially if done in the passenger seat of a moving car, as Price did for at least part of test. I can't even read in a car for extended periods without feeling a bit woozy. But whatever shred of legitimacy this report may have had, it goes sailing out the window thanks to the ridiculous headline and insane photographs that accompany the article and are obviously meant to put the system in a bad light. Why The Sun seems so determined to prove that the 3DS is a deadly weapon is a mystery but it is worth noting that the doctor's final sage advice - "Children should not be left to play on it for hours" - pretty much jibes with Nintendo's own recommendation to take frequent breaks, "as with anything that requires focus, from reading to staring at a computer screen." So what's really at issue here?